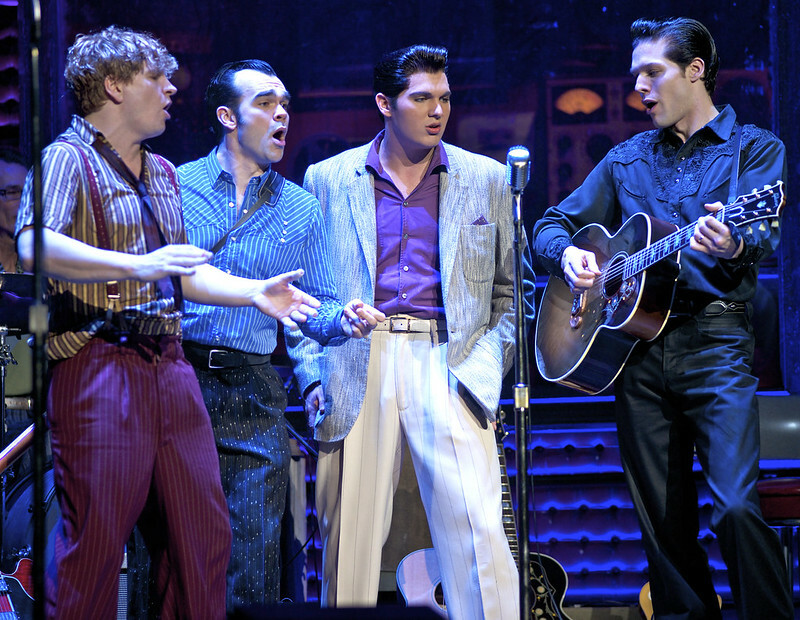 My obsession with Million Dollar Quartet began in 2009 when I heard about the show playing at Chicago's Apollo Theatre. For one reason or another, I never made it to the Windy City and secretly hoped the show would one day find its way down to Cincinnati. That day of joy came when Broadway In Cincinnati announced their 2013 lineup, which would be bringing my four rock stars to town at the Aronoff Center. 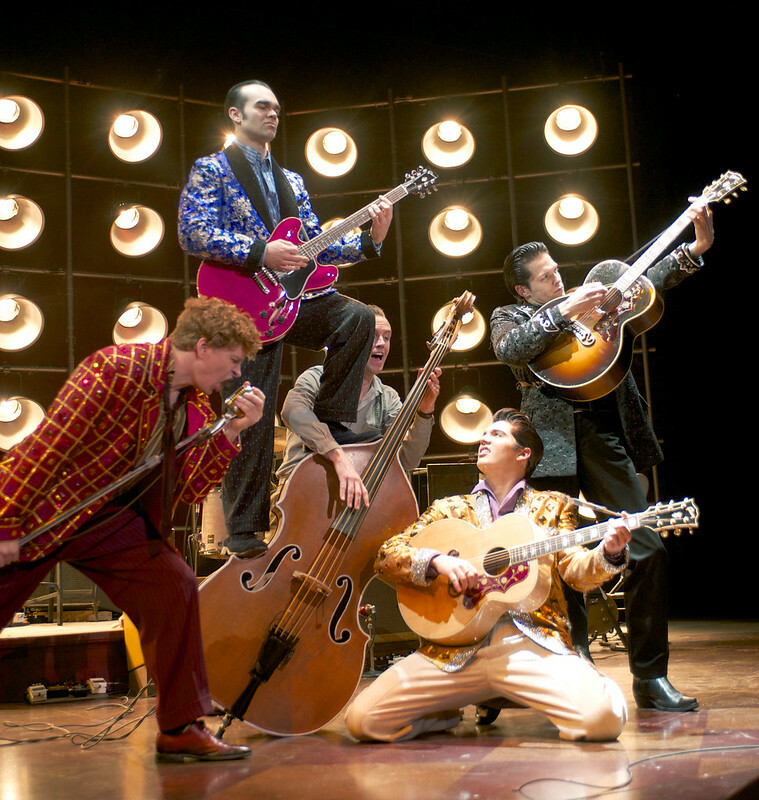 Million Dollar Quartet portrays the evening of December 4, 1956, when Elvis Presley, Johnny Cash, Carl Perkins, and Jerry Lee Lewis held a jam session at Sun Records, the label under which each got their start. This 90-minute musical is a non-stop rock n' roll frenzy which creates a strong desire to get up and dance in the aisles. In true Broadway fashion, a story accompanies the playlist of songs: a journey back to the roots of each musician and how they arrived on the doorstep of producer Sam Phillips, who took them in and made them famous. 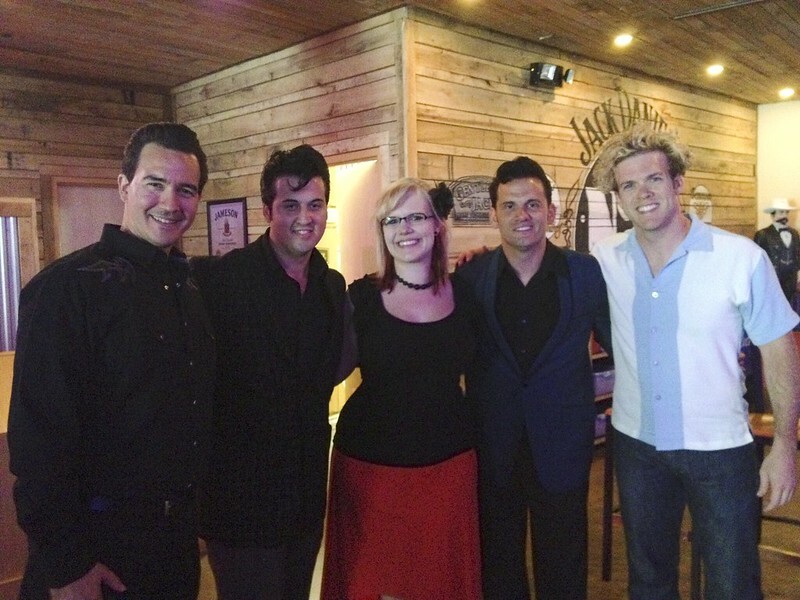 With a cast of talented musicians who distinctly resemble the rock legends, Million Dollar Quartet transports the audience back to the 1950s for a chance to experience (or relive, for older generations) a live concert of Cash, Presley, Perkins, and Lewis. The set list includes over 20 favorite songs, such as: Blue Suede Shoes, Who Do You Love?, Great Balls of Fire, Folsom Prison Blues, I Walk The Line, and Whole Lotta Shakin' Goin' On. I'm a long-time Elvis fan and a more recent admirer of Johnny Cash. However, Jerry Lee Lewis stole the show. His quirky demeanor and lively piano playing will make any lady swoon with delight. As for Carl Perkins, who doesn't love a Rockabilly man who plays guitar while standing on the rim of an upright bass? After four years of anticipation, I can certainly say that Million Dollar Quartet lived up to and exceeded all expectations. 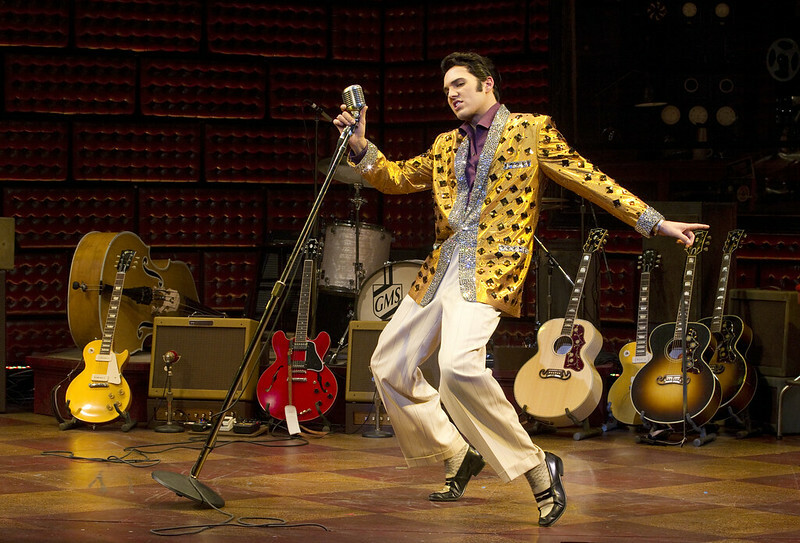 Million Dollar Quartet runs through March 3 at The Aronoff. Be sure to stay after curtain call; there's a fantastic encore with chart-topping songs and audience participation.